The date was Thursday, September 13th and the place was the friendly confines of Wrigley Field for the second edition of That 401(k) Conference. The event was held in the Fannie Mae suite area behind center field where over 20advisors were treated to a bevy of great content and speakers from Millenium Trust, Brightworxx, Kravitz, ABG of Illinois, Starkweather & Shepley Insurance Brokers, and The Rosenbaum Law Firm P.C. 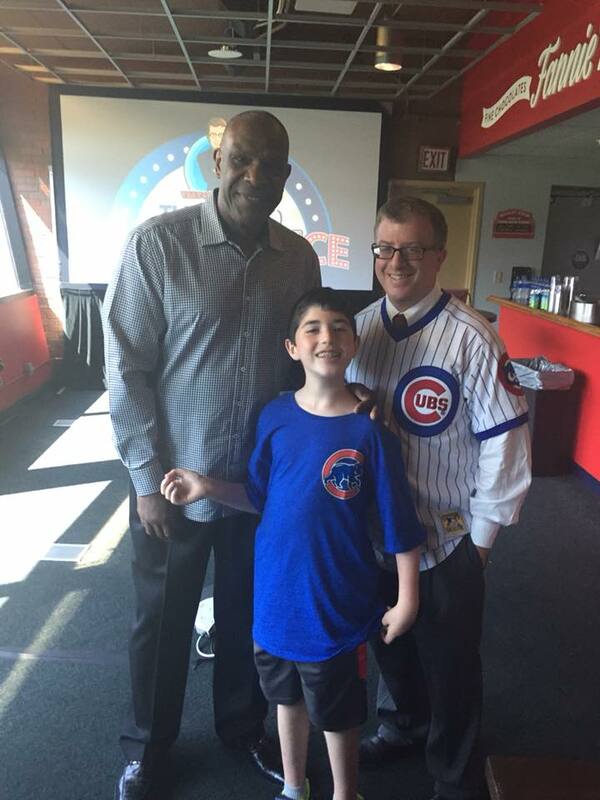 The highlight of the morning and afternoon was a guest appearance by Hall of Fame member Andre Dawson who talked to the attendees about his signing with the Cubs and signed autographs. A 90-minute tour of Wrigley Field was icing on the cake. That 401(k) Conference will hit Citizens Bank Park next in Philadelphia on Friday, November 9, 2018. Tickets with special early bird pricing can be found at http://that401ksite.com/that-401k-conference/. Sponsorships are still available.